Posted by Yonsei Rebel Alliance on Thursday, 8 July 2004, at 5:46 p.m., in response to Re: HOW TO DATE A WHITE WOMAN, A Practical Guide for Asian Men, posted by Bob on Wednesday, 7 July 2004, at 9:36 p.m.
Wrong Bob. I tried that and it didn't work. I have used the techniques in this book. Works like a charm. 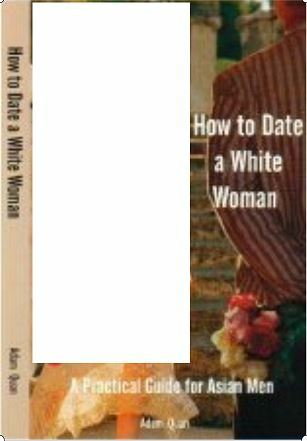 Posted by Bob on Wednesday, 7 July 2004, at 9:36 p.m., in response to HOW TO DATE A WHITE WOMAN, A Practical Guide for Asian Men, posted by Barb on Wednesday, 7 July 2004, at 6:08 p.m.
Just go up to her and ask her out for Christ's sake!!!! Spring 2010 Promotion Order Now! © 2002 AsianWorldPress.com. All rights reserved.